I have read the endless discussion for stay sails but has anyone every used a HEAD sail. My boat and rig was designed for it, but the sail is missing. Before I run and have one made I am wonder what kind of lift can be expected (obviously this depends on wind and sea state.). a) can I expect a lift in speed, what is realistic 1kt, 1/2kt ? b) any experience with decreased roll? How effective the sail is will depend on; 1) the sailmaker, 2) rigging tension, and 3) sheeting angles. Adding sail area will certainly help across or downwind, but don't expect that boat to sail upwind at all. 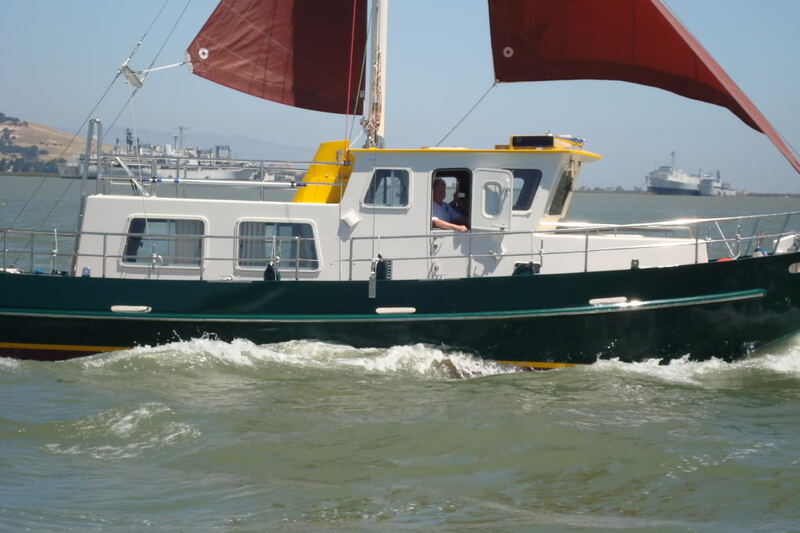 With only 82 sq ft (34 main & 48 jib) the 4000 pound Timbercoast will sail (no engine) at 2.5 knots in 10 knots of wind, 3 knots in 12 knots of wind, and 4 knots in 15 knots of wind. 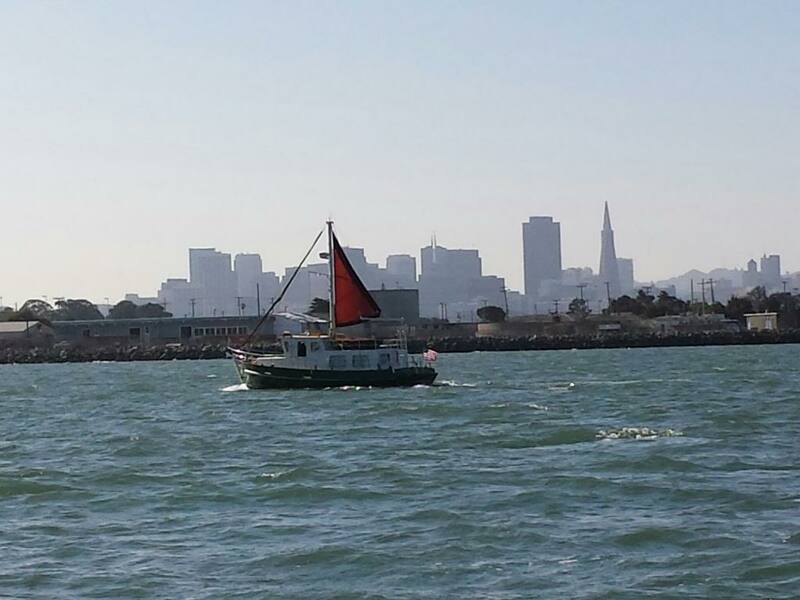 She will also sail upwind at 60 degrees to true wind angle. I attribute this as much to deeper than average draft (and a big rudder) as to anything else. Why yes I do have some experience, with a slew of sailboats over the last 50 years, but more to the point, recently a 37 foot motor sailor where we collected just these kind of data. So a sail may help for economy..... it's not going to turn it into a Cigarette. There are plenty of used sail lofts. Even if you can't find the exact size, get something bigger for not too much, and have them cut it down. Sailors change sails like power boaters change props..(chasing the same dream.... more for less)... and the cost is about the same. Always used sails around. I hoped I answered your question. If you want to yack, pm me your number. My headsail is significantly larger than the "mainsail." Nevertheless, I use the mainsail more frequently than the headsail because it's easier to handle and is usefull in more wind directions. A horizontal headstay? You have a diagram to go with that? 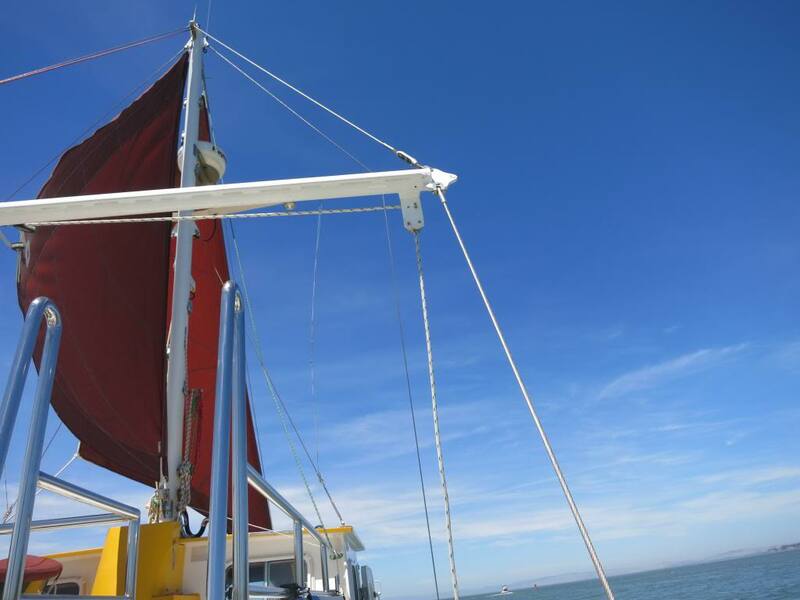 A larger headsail cut down (properly) will do fine on a trawler on a beam reach. Barn door lift only. No laminal flow. No way to make this a finesse thing. I understand what you're saying, sort of, but it's waaaay simpler. While underway and under hull-speed, the sails can add half a knot in ten-knot winds from abeam. Tad, that is a really cool boat. This is so a vessel with a normal sail rudder (big) and keel can sail under full control with the raised sails. A jib alone would help some downwind , but do little as a steadying device until a high wind speed. At 17K a sq ft of sail area can create a pound of push downwind . 250 sq ft , 250 lbs of push @ 17K, about equal to a 12-13 hp push from an engine. About the same as an extra GPH of fuel burn , perhaps + 1K. If you were willing to throttle back to maintain the same speed , it might be more worthwhile , but Heating oil is about $1.20 today so under $2.00 diesel is on the way. Look up the variety of propulsion kites that can be flown from the bow ,these can be far more effective . I'm not sure what size headsail your forestay could carry. Maybe 150 ft2 ? as it seems limited by the flybridge canvas. I doubt if you'd be overwhelmed by the extra speed, however, I think you would be pleasantly surprised with the roll reduction. A soft bilge hull shape such as the Bristol 42 will benefit greatly from a steady sail; much more so than a hard chined hull. I run up my main sail if I am really after roll reduction but put up both if wanting to gain speed or reduce fuel consumption. Very rarely put up the mizzen except maybe at anchor for a bit of direction. GB 32'. Pic from PassageMaker. Sure like the looks of your boat! Lots of really cool boats! Thanks all. I would post a pic of the rig but I can never remember how to post a pic on this site. Post number 6 of the above linked thread explains the painless process quite susinctly sir. I took pictures of this PassageMaker article and made it in PDF. If you give me your email address, I will send you through email.